Benjamin has won a series of awards for his intermedia collaborations, including the ASCAP Foundation Michelle & Dean Kay Award and the Oticons Faculty Int'l Film Scoring Competition. He is a member of BAFTA Crew, and was shortlisted for a BAFTA Breakthrough Brit award in for his accalimed score to Wander, an MMO videogame released on PlayStation 4 and PC in 2015. Benjamin completed a Masters degree in Composition for Screen at the Royal College of Music in 2014, graduating with distinction. Later that year he was selected as one of 12 composers worldwide to take part in the ASCAP Film Scoring Workshop with Richard Bellis, during which he received masterclasses from John Powell and Mark Graham. Benjamin created a series of original soundtracks for Waitrose & Partners’ 2018 Christmas campaign. Composed the soundtrack to Selsey Bill, Jake Mavity’s award-winning short film. Scored for two saxophones and upright piano. Benjamin composed the soundtrack to Puff Piece, a film by Jonas Eriks starring Happy Jankell. The score was written for violin, accordion, mandolins, guitar, transistor organ and double bass. Benjamin composed the music for Le Grand Carillon, a new show at Puy de Fou, on of Europe's largest theme parks. The show revolves around the park's new 60' carillon, constructed by Royal Eijsbouts, and features live drummers, folk musicians and acrobats. Le Grand Carillon will be performed daily during Puy du Fou's 2017 season. Benjamin composed the music for "Up", Honda's marketing campaign for the 2017 Honda Civic. The film follows the ascent of Team GB climber Imogen Horrocks up a towering sandstone cliff, and the soundtrack was created by processing sounds made by a bass clarinet and a nylon string guitar. The soundscape was shortlisted for a British Arrows Award and won a Kinsale Shark Bronze Award. Benjamin's organic and evocative score to Wander (PlayStation4 and PC, 2015) was singled out for praise by GameSpot, Push Square, PSGamer and The Gist. Benjamin was shortlisted for a BAFTA Breakthrough Brit Award for his work on the soundtrack. The Wander soundtrack is available on Bandcamp. 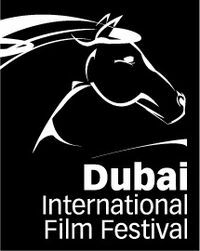 Composed the theme music for the 2016 Dubai International Film Festival. Composed music to Stella Ramsden's short film, Music is My Fearless, written for the Bose SoundLink headphone campaign. The film features silk artist Amelia Marchant, and explores how listening to music through headphones can alter someone’s perspective on time, helping them to live each moment fully. Benjamin was selected as one of 12 composers worldwide to take part in the ASCAP Film Scoring Workshop with Richard Bellis: a month of meetings, workshops and masterclasses in Hollywood, culminating in a symphonic orchestral recording session at Fox Studios. He was subsequently invited to the Lincoln Centre, NY to be presented with the ASCAP Foundation Michelle & Dean Kay Award, awarded for outstanding musical potential. Collaborated with artist Lexi Strauss to create the music for her installation, The Twelve Apostles as Babies. The work has been exhibited at the Royal College of Art and in Worcester Cathedral. Composed the music to Francis Annan's short film, The Longest Drive, starring BAFTA-winning actor Darren Boyd. The music was created in collaboration with Japanese artist Ikuyo Kobayashi. Composed the soundtrack to The Burning, a sixteenth-century period drama directed by Dominic Lees (This Life, BBC Two; The Bill, ITV). Composed the music to Hellmann's global advertising campaign, The Greatest. Benjamin's score to animated film Replay was shortlisted for the European Talent Award at SoundTrack Cologne 10 and screened as part of the festival in 2013.